Sitting your A-Levels is one of the most stressful things you can do, and when results day comes around, you’re probably going to want to celebrate or commiserate with food in some way. Luckily, Nandos has got it covered. If you are a bright eyed A-Level student clutching your freshly printed results papers, then you my friend are in for some free chicken. 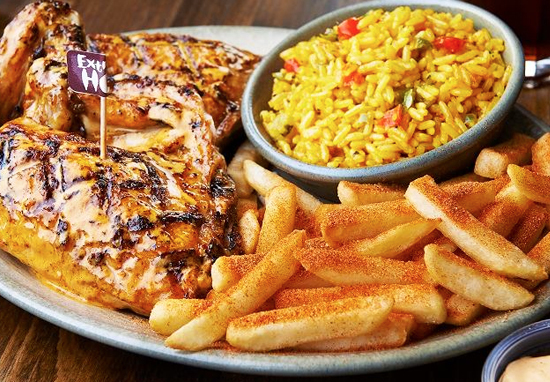 Nandos won’t care if you’re riding the clearing rollercoaster or if you’re still haunted by the crushing disappointment in your parents eyes. All you need are your results papers, some form of ID and a minimum spend of £7 and you can grab a free 1/4 chicken or Fire-Starter. For those who just aren’t cheeky enough, Fire-Starters include the following dishes: three chicken wings, spicy mixed olives, houmous with peri-peri drizzle, red pepper dip and peri-peri nuts. Eighteen year olds, your metabolism will collapse in a few years and your first love will rip your heart out and claw it to pieces. The road that winds into and through your twenties is tough. Know the one thing you can always rely on to brighten your horizons is free food. Always accept free food.